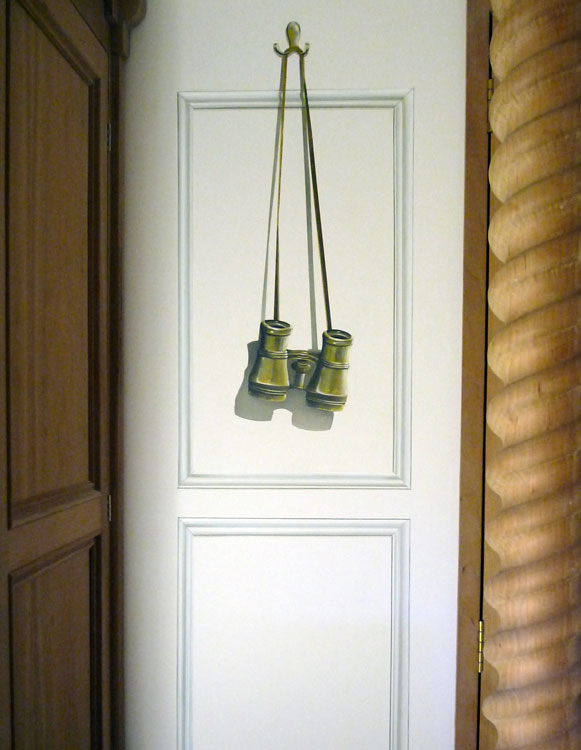 These trompe l’oeil wall panels (and binoculars) were commissioned and hand painted in the bedroom of a luxurious canal boat. The rest of the boat had lots of decorative panelling but this particular wall was a flat bulk head. 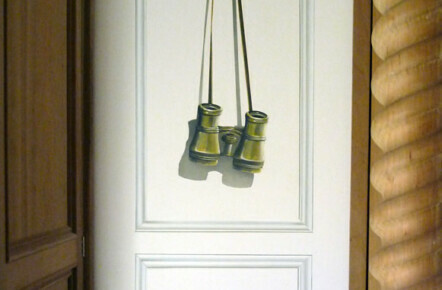 The owner really wanted the wall to match the rest so I suggested creating the illusion with some trompe l’oeil wall panels. 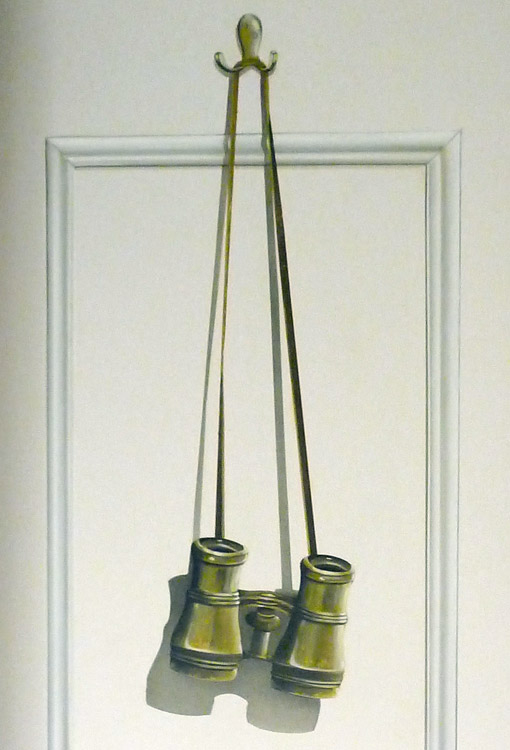 I also suggested adding some trompe l’oeil antique binoculars to create even more of a feature. He loved the idea and was bowled over with the finished result which not only added a fun taking point but also another unique feature to his bespoke boat.